Branding poses challenging decisions to the marketer. Figure 8.3 shows that the major brand strategy decisions involve brand positioning, brand name selection, brand sponsorship, and brand development. Marketers need to position their brands clearly in target customers' minds. They can position brands at any of three levels.23 At the lowest level, they can position the brand on product attributes. For example, P&G invented the disposable diaper category with its Pampers brand. Early Pampers marketing focused on attributes such as fluid absorption, fit, and disposability. In general, however, attributes are the least desirable level for brand positioning. Competitors can easily copy attributes. More importantly, customers are not interested in attributes as such; they are interested in what the attributes will do for them. Brand positioning: The strongest brands go beyond attribute or benefit positioning. 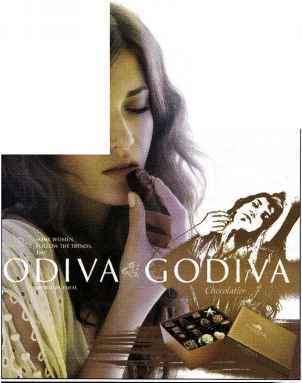 Godiva engages customers on a deeper level, touching universal emotions. A brand can be better positioned by associating its name with a desirable benefit. Thus, Pampers can go beyond technical product attributes and talk about the resulting containment and skin-health benefits from dryness. "There are fewer wet bottoms in the world because of us," says Jim Stengel, P&G's global marketing officer. Some successful brands positioned on benefits are Volvo (safety), FedEx (guaranteed on-time delivery), Nike (performance), and Lexus (quality). If you go back, we often thought of our brands in terms of functional benefits. But when we began listening very closely to customers, they told us Pampers meant much more to them—Pampers are more about parent-child relationships and total baby care. So we started to say, "We want to be a brand experience; we want to be there to help support parents and babies as they grow and develop." In the initial days people thought we were nuts. How can a diaper help a baby's development? But babies wear diapers 24/7 for almost three years. It actually reorients R&D to ask a question like "How can we help babies sleep better?" Why are we concerned about babies sleeping better? Because sleep is important to brain development. It helps relationship skills. Thinking like that, we're able to help improve life for our consumers. The equity of great brands has to be something that a consumer finds inspirational and the organization finds inspirational. You know, our baby care business didn't start growing aggressively until we changed Pampers from being about dryness to being about helping mom with her baby's development. When positioning a brand, the marketer should establish a mission for the brand and a vision of what the brand must be and do. A brand is the company's promise to deliver a specific set of features, benefits, services, and experiences consistently to the buyers. The brand promise must be simple and honest. Tulip Inn, for example, offers clean rooms, low prices, and good service but does not promise expensive furniture or large bathrooms. In contrast, Bilderberg hotels offers luxurious rooms and a truly memorable experience but does not promise low prices. A good name can add greatly to a product's success. However, finding the best brand name is a difficult task. It begins with a careful review of the product and its benefits, the target market, and proposed marketing strategies. After that, naming a brand becomes part science, part art, and a measure of instinct. Desirable qualities for a brand name include the following: (1) It should suggest something about the product's benefits and qualities. Examples: Beautyrest (mattresses), Die Hard (batteries), Intensive Care (lotion), Curves (women's fitness centers). (2) It should be easy to pronounce, recognize, and remember: iPod Touch, and easyjet. (3) The brand name should be distinctive: Lexus, Virgin. (4) It should be extendable: Amazon.com began as an online bookseller but chose a name that would allow expansion into other categories. (5) The name should translate easily into foreign languages. Before changing its name to Exxon, Standard Oil rejected the name Enco, which it learned meant a stalled engine when pronounced in Japanese. (6) It should be capable of registration and legal protection. A brand name cannot be registered if it infringes on existing brand names. Choosing a new brand name is hard work. After a decade of choosing quirky names (Yahoo!, Google) or trademark-proof made-up names (Novartis, Aventis, Lycos), today's style is to build brands around names that have real meaning. For example, names like Silk (soy milk), Method (home products), Smartwater (beverages), and Blackboard (school software) are simple and make intuitive sense. But with trademark applications soaring, available new names can be hard to find. Try it yourself. Pick a product and see if you can come up with a better name for it. How about Moonshot? Tickle? Vanilla? Treehugger? Simplicity? Google them and you'll find that they're already taken. Once chosen, the brand name must be protected. Many firms try to build a brand name that will eventually become identified with the product category. Brand names such as Kleenex, Levi's, JELL-O, BAND-AID, Scotch Tape, Formica, and Ziploc have succeeded in this way. However, their very success may threaten the company's rights to the name. 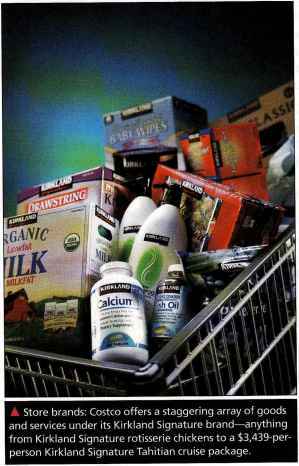 Many originally protected brand names—such as cellophane, aspirin, nylon, kerosene, linoleum, yo-yo, trampoline, escalator, thermos, and shredded wheat (cereal)—are now generic names that any seller can use. To protect their brands, marketers present them carefully using the word "brand" and the registered trademark symbol, as in "BAND-AID® Brand Adhesive Bandages." Even the long-standing "I am stuck on BAND-AID and BAND AID's stuck on me" commercial jingle (song) has now become "I am stuck on BAND AID brand and BAND AID's stuck on me." Store brands: Costco offers a staggering array of goods and services under its Kirkland Signature brand—anything from Kirkland Signature rôtisserie chickens to a $3,439-per-person Kirkland Signature Tahitian cruise package. 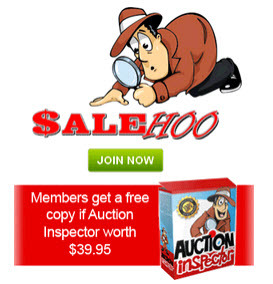 A brand created and owned by a reseller of a product or service. A manufacturer has four sponsorship options. The product may be launched as a national brand (or manufacturer's brand), as when Sony and Kellogg sell their output under their own brand names (Sony Bravia HDTV or Weetabix Crunchy Bran Frosted Flakes cereal). Or the manufacturer may sell to resellers who give the product a private brand (also called a store brand or distributor brand). Although most manufacturers create their own brand names, others market licensed brands. Finally, two companies can join forces and co-brand a product. Kirkland Signature brand. Costco customers can buy anything from Kirkland Signature rotisserie chickens to a $3,439-per-person Kirkland Signature Tahitian cruise package. At the other end of the spectrum, upscale retailer Saks Fifth Avenue carries its own clothing line, which features $98 men's ties, $200 halter-tops, and $250 cotton dress shirts. To compete with store brands, leading brand marketers must invest in R&D to bring out new brands, new features, and continuous quality improvements. 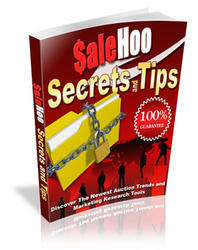 They must design strong advertising programs to maintain high awareness and preference. And they must find ways to "partner" with major distributors in a search for distribution economies and improved joint performance. 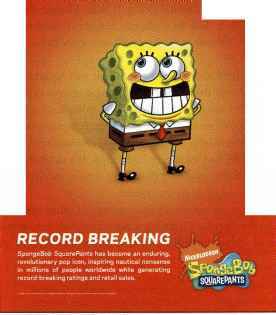 Licensing: the cable TV channel Nickelodeon has developed a stable full of hugely popular characters— such as SpongeBob SquarePants—that generate billions of dollars of retail sales each year. What is the lowest level on which marketers can position their brands to target customers? Are attributes are the least desirable level for brand positioning? What strongest brands go beyond attributes or benefit positioning? What are three levels at which marketers can position their brands? How customer emotions be related brands?